Last week Eneos Oil officially announced that they would be backing the Evasive Motorsports Toyota 86 for an effort at 2019 running of the Pikes Peak hillclimb. With Formula Drift and Time Attack Champion Dai Yoshihara at the wheel, the effort looks to be promising. Unofficially Evasive has been gradually developing the car over the past 9 months for the grueling task of getting to the top of the hill. The Toyota 86 has made a run up Pikes Peak before. The car was formally sponsored by Mackin Industries and had made a run up the mountain in 2015. That effort had been hampered by overheating and axle failure issues. Since then the car has been totally revamped and has been undergoing testing and development competing now and then to test concepts before the next attempt this year. 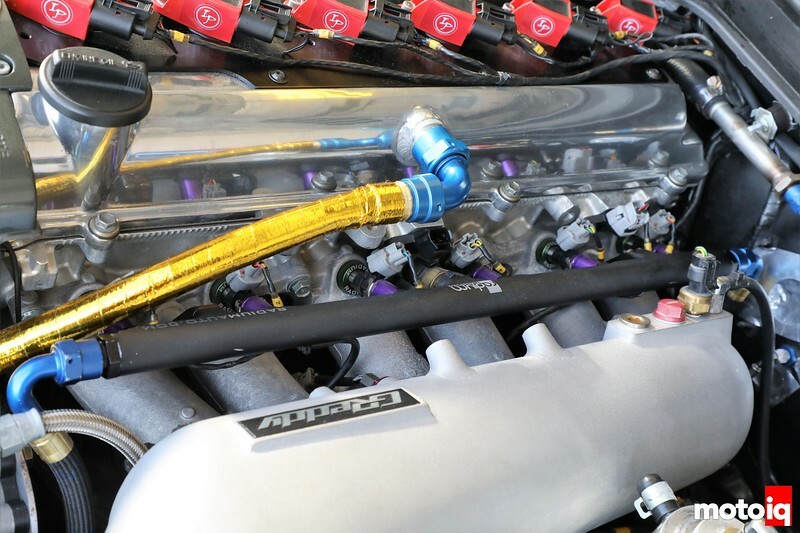 The FA20 engine did not have the ability to produce enough reliable power to be competitive in the event and was replaced with an Evasive Motorsports built 2JZ engine. Chris Eimer of Eimer Engineering did much of the swap fabrication. The 2JZ pumps out 1000 hp on Ignite Red fuel. 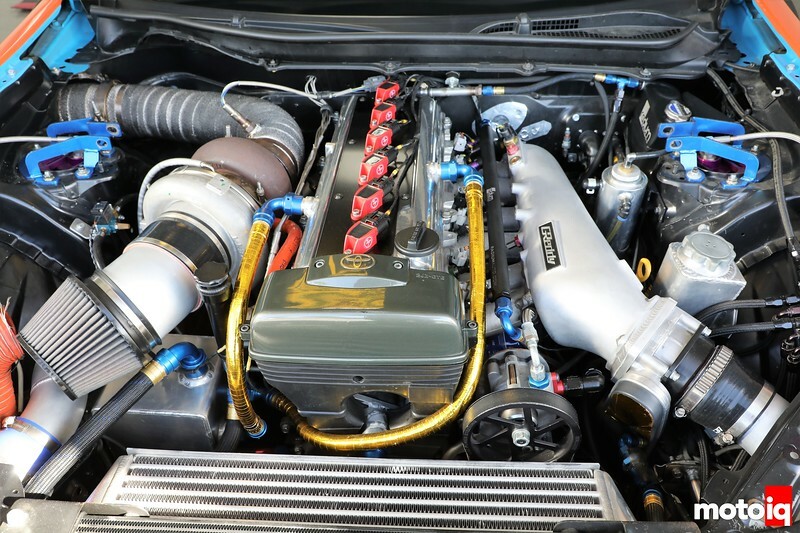 The 2JZ has 3.4 liters of displacement and is stuffed with 11:1 compression JE forged asymmetrical skirt FSR pistons. The pistons are hung on Carillo H-beam rods. A BC billet stroker crank is also used. A Boost Logic high volume oil pump keeps the ACL bearings lubricated. The camshafts are GSC S2 grind with GSC valves springs and 1mm oversize valves. The cylinder heads are lightly ported. A Greddy large plenum cast intake manifold helps with the reliability, at high boost pressures fabricated intake manifolds sometimes fail in long term use. The drive by wire throttle body is a Bosch unit from a BMW. The engine is fed Ignite Red E98 ethanol fuel via Injector Dynamics 2000cc/min injectors. Ignition Products multi-spark coils keep everything burning even at high boost pressures. A Garrett GTX4292R turbo is used. This turbo uses Garrett’s latest Gen II aero for great efficiency and uses a dual ball bearing center section which reduces spool time and improves transient response by about 15%. 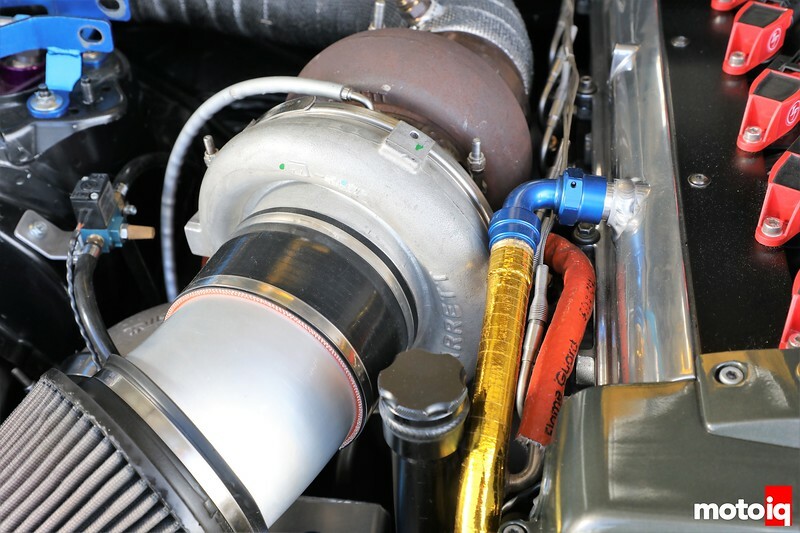 The turbo also has a ported shroud which reduces surge, very important for the high altitudes of Pikes Peak. Depending on the course, the turbine housing is a twin scroll 1.01 A/R if a faster response is needed or a 1.15 which has more top end power at the cost of slightly more lag. Twin scroll exhaust housings generally can spool about 10% faster in inline six cylinders all other things being equal. Great build and write up. One small note is that the vertical strakes on a diffuser limit spanwise flow. Without them, the air will tend to move laterally across the diffuser surface. Obviously, that reduces the effectiveness of the diffuser. Of course, there’s a small drag penalty, but it’s more than made up for in the aero efficiency. Fun fact: These strakes were first developed for the swept wing jet fighter aircraft. Because the ailerons are generally located near the wingtips (for the maximum moment arm) the control surface on swept wings was losing ability due to boundary layer separation. This was because the swept wing caused the air to turn outward (spanwise flow.) By introducing a wing fence (vertical strake projecting above boundary layer) you limit spanwise flow and the aileron remains effective, so even under extreme yaw angles. We did it mostly to try to keep the flow attached with a less than optimal angle. We used a pre-made diffuser to expedite stuff. We might redo it later if there is time and money. Yeah, it’s difficult to know if the flow is staying attached or separating. Obviously, you can’t use wool tufts, because gravity. Maybe you could make your own ‘flowviz’ paint, but I think that gravity would make that difficult, too. Not many good options without a wind tunnel. And no reason to spend $$$ unless you know it’s going to work. Also, the front end should always see the bulk of the aero effort. If the front isn’t working properly, then it won’t matter what you do at the rear. The flow will be turbulent by then, anyway. Best of luck on Pikes Peak. it looks like there’s what looks like a delrin bushing on the knuckle between where the tie rod and LCA connect to it. From what I can tell its between 2 rigid non-moving parts… and its not in the pics of the kit on the Wisefab website… whats its purpose? Not legal for our events!